We are extremely engaged in providing a comprehensive series of Pneumatic Seal. Our offered products are well-liked in the market for their top features. K58 is five piece double acting sealing set consists of aluminium body, two elastomeric sealing elements, one guide ring, one magnet and an O-ring for the inner sealing. All pneumatic cylinders in need of stroke control. offer wide range sizes pneumatic seals - molded , machined. material - castable , injection molded polyurethane. Pneumatic Seals are widely used in the pneumatic cylinders also called air cylinders. 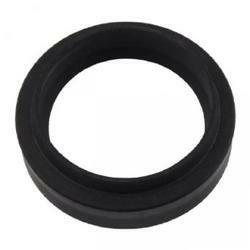 We have various types of pneumatics seals in rubber and polyurethane. Pneumatics, which is one area of fluid technology, is the scienceof the behaviour of gases. The working of Pneumatic equipment requires the sealing of volumes of air under pressure. The pneumatic seals are divided into cylinder seals & valve seals.Some them are Useal, cushion seal, damper seal, wiper seals etc. We represent trimlok products in India. We have hundreds of seal profiles with 3M adhesive tape in 250 feet rolls and delivery within 20 working days. Made in U.S.A.
www.trimlok.com. These products made in U.S.A. we directly deal with end users. Delivery anywhere in India within 22 days. Entertain bulk orders of 250 feet roll boxes. 10 Boxes or above no extra shipping charges. 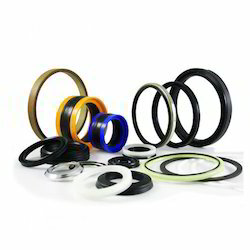 We manufacture finest quality of pneumatic seals in different elastomers. If you have specific requirement, we have the solution for you. All sizes are feasible. Please Contact to us for further details. The Hydraulic & Pneumatic Seal is a new type of seal and ideal product to replace traditional O- ring. It is applicable for radial sealing. Because it's section is oral, so it is not easy to be twisted. We offer Hydraulic and Pneumatic Seals that find application in radial sealing. It comprises an oral section, which is not easy to be twisted. Well known for operational reliability, less space and tolerance at high as well as low temperatures, these are highly demanded by our clients. Our hydraulic and pneumatic seals can easily be customized as per the specifications detailed by the clients. Ajay Industries & Trading Co.